April 12, 2018 – Courtesy of GeekWire.com by Taylor Soper. Horse monitoring might not be the first application of computer vision-based machine learning that comes to mind. But investors like what they see with Magic AI. The Seattle startup has reeled in a $1.2 million seed round to expand StableGuard, its 24-hour monitoring and alert system for horses. Magic AI launched last year after CEO and co-founder Alexa Anthony was inspired to start the company after her own 8-year-old horse, Magic, was stricken with colic in the middle of the night. 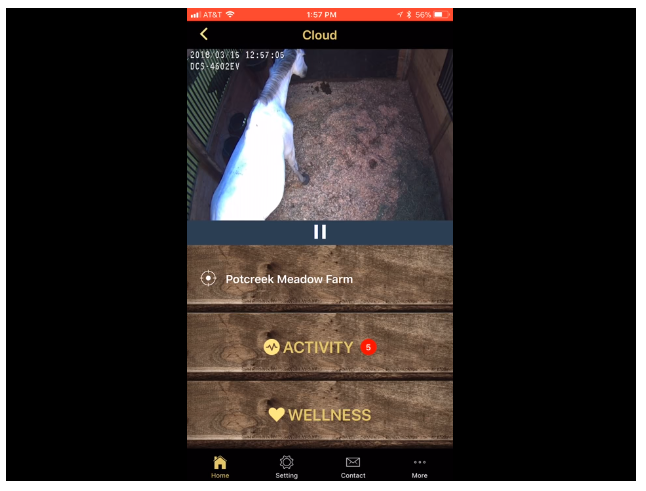 Via a video camera in a horse’s stall, StableGuard works by learning to recognize various signals put off by the animal related to everything from stress, comfort related to temperature, food and water consumption, waste evacuation, pregnancy and security. StableGuard users are alerted via mobile app if the artificial intelligence detects an issue with a horse. Click to continue reading and view the video of this innovative and needed equine technology. Click to view the StableGuard NW Equine directory listing with additional details, including StableGuard website.